Om Sai Ram Beloved Sai Bhaktas. I have been having an interesting week. Although, feeling anxious about the upcoming election here in the United States our Lord Sai has been in close contact. A few days ago, while sitting in meditation dearest Swami whispered the word "Trust" and I saw him in the soft mist with both hands raised in blessing. That was very encouraging and uplifting, so I have been trying to not worry and just "Trust" it all to the Divine Will of the Lord. The next day, again I prepared to do some chanting and meditation. We have an intricately beautiful Lakshmi fountain in the puja room. I was going to turn it on but noticed there was not enough water in it. I didn't feeling like fetching water for it and closed my eyes to meditate. At that point, I clearly saw our Lord Sai pouring water into the fountain. It was such a strong vision, I immediately jumped up and brought water for the fountain. and a light emanating from Her midsection. Again the perfumed scent of vibhuti drenched the room. an area where we waited. It was very dark there, that gloomy kind of urban darkness. Suddenly, I began singing: "YET IN THY DARK STREETS SHINETH THE EVERLASTING LIGHT." Some of the people looked at me perplexed, again I repeated: "YET IN THY DARK STREETS SHINETH THE EVERLASTING LIGHT." After that we dispersed and I started walking home. 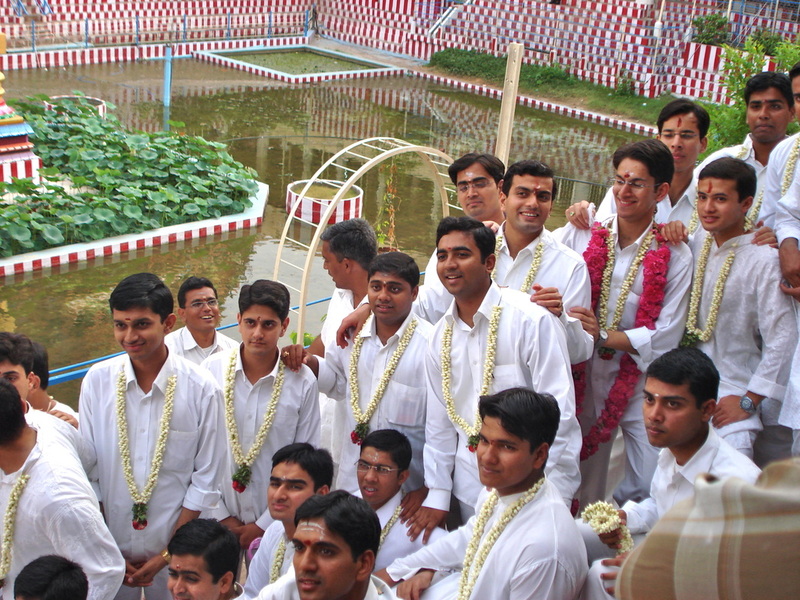 Wonderfully, I saw a huge group of Swami students dressed in white strolling everywhere. How Heavenly! I awakened!